Click here to enroll for the 2018-2019 school year! Kehal Kodesh Religious School is a fun and exciting place to be, where each student is nurtured and valued. We teach to a variety of learning styles. Our teachers instruct out of a love of Judaism and community. They are rabbinic students, college students, parents, and committed individuals of our community. Our educators are committed to their own learning, and strive to bring relevance and Jewish literacy to our students. Meet our Religious School staff! Kehal Kodesh meets on Sunday mornings 9:30-noon. We begin each Sunday with t'filah (services), to which parents, grandparents, and caregivers are invited. We begin Religious School with Pre-School, and students stay in our program through 8th grade (in 9th grade, our students join other teenagers in Kulanu: The Cincinnati Reform Jewish High School). Our teenagers continue on Sunday morning as madrichim (student guides). Our schedule includes Family Education (learning with parents and children together), class Shabbat services, and other opportunities for gathering and community-building for the entire family. For more information, please contact Rabbi Meredith Kahan, Associate Rabbi and Educator. 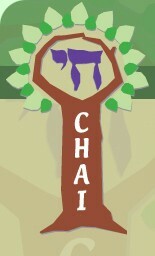 The Chai Curriculum focuses on three main areas, Torah, Avodah, and G’milut Chasadim, taking its inspiration from the line in our sacred text: “The world stands on three things: on Torah, on Service/Worship, and on Acts of Lovingkindness” (Mishnah Avot 1:2) Through these three lenses, our students will explore and experience a myriad of topics, from classic Genesis stories to the principle of caring for the elders in our community. Each year of learning also has a theme which guides the lessons in all three strands. Rak Noar (7th and 8th grade): follows a two-year rotating curriculum including sacred texts, Jewish values and living.